TheWesley offers a wide variety of services in harmony with our ethical policies and sets us apart as a unique Social Enterprise hotel in London, Euston. Our focus is on giving you great value for money and more amenities and facilities than you expect at our 4 star hotel. We have 5 floors, 100 Ensuite rooms, 7 Suites, 24 Superior rooms – a great choice of Euston accommodation including 15 Conference, meeting spaces and Syndicate rooms. TheWesley is the first UK accredited ethical hotel with the Social Enterprise Mark providing affordable quality hotel &meeting rooms, private dining & event facilities. 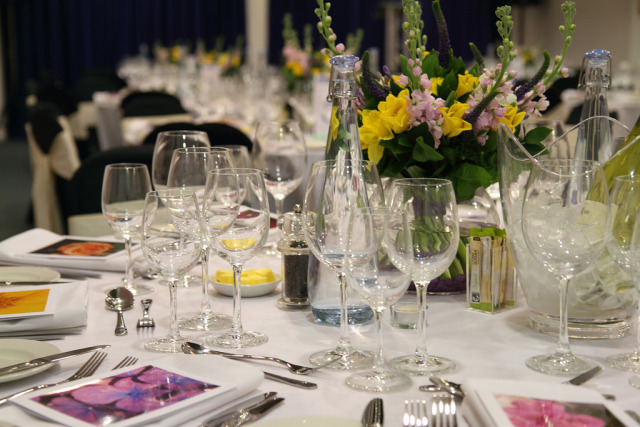 TheWesley is a superb centrally located contemporary venue, less than 200 metres from Euston Square underground and Euston main line stations. With 17 individual meeting rooms to hold events from 2 to 120 delegates, all either have natural light or are air conditioned, we offer value for money day delegate rates from £46 inc VAT per person. This includes most things you will need for a productive meeting: an appropriately sized meeting room, beverages throughout the day and a hot two-course lunch in the restaurant, or a working lunch can be served in your meeting room. All meeting rooms can also be hired at a day/hourly rate, which has complimentary Wi-Fi access and can be arranged to suit most configurations. A range of AV equipment, including conference phones are available to hire. 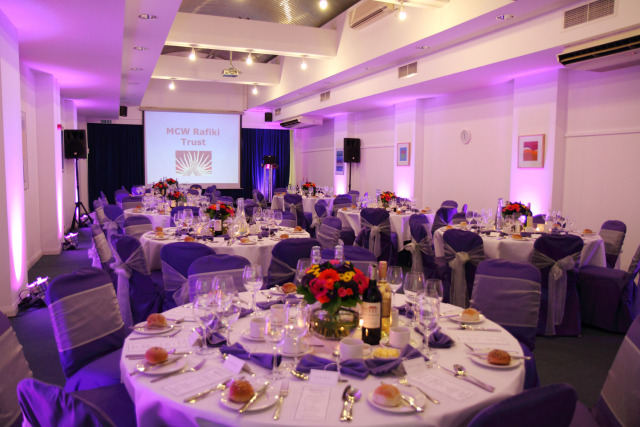 The Wesley Hotel is the premium conference venue in the Euston area of Central London. Easy access to arrive at your meeting from Euston mainline station and underground. 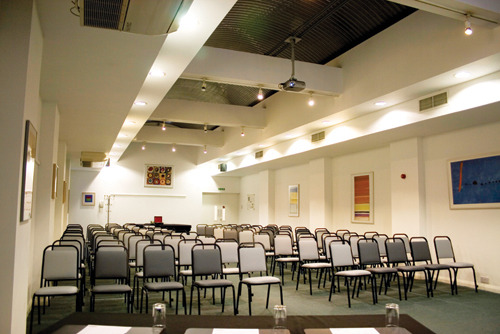 A wide range of conference, meeting facilities and event spaces in the centre of Euston are available for booking all year round. - Dedicated, helpful staff to help you plan your booking from beginning to end. - Break out rooms available to book with your main meeting room. - Negotiated rates for long-term bookings. - Lower rates for evenings and weekends. - Consider us for your breakfast meeting and enjoy the best breakfast in town. - Meeting rooms available by the hour. We know you don’t always want to pay for the whole day or even a half day. So we won’t charge you for it. - Special rates are available for charities and non profit organisations. - Discounted “Taster” rate for clients booking for the first time. 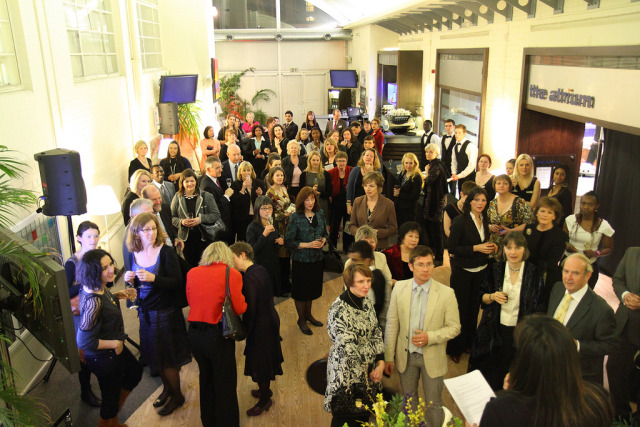 Our Atrium is a superb venue for private events with a capacity of up to 120 people. MIC’s fine cuisine has become a renowned feature for quality and value. Food is imaginatively designed, cooked and served using fresh and, whenever possible, regional and Fairtrade products. Contact TheWesley directly or use our simple contact form.